Two numbers are in the ratio of 3:5. If 9 be subtracted from each, then they are in the ratio of 12:23. 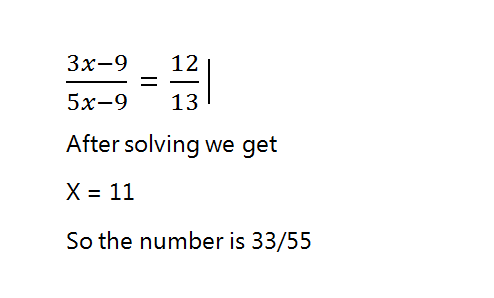 Find the number?